Highlights: Was 1 of 7 freshmen (out of 75 who tried out) that made the MSU Club team. Has Started since his freshMen year, MSU competes In the Great Lakes North Conference of the National Club Baseball Assoc. Teams in the conference include MSU, Michigan, WesternMichigan, Central Michigan, Ferris State and Northwoods. 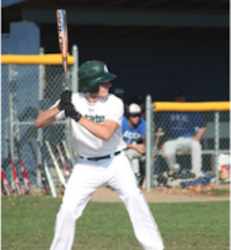 Update Fall 2013: In addition to playing baseball with the MSU Club team, John is an Assistant coach for the Club Baseball team.